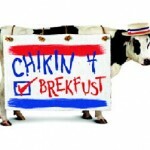 Chick-fil-A is letting individuals reserve space to get one free breakfast entrée September 6 to September 10. 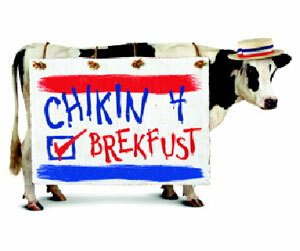 It is one free reservation per customer and you can make you reservation online at http://www.chick-fil-aforbreakfast.com/Start. There are a limited amount reservation for each day. 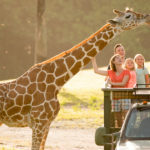 Customers will have up to nine breakfast entrées to choose from, including the Chick-fil-A® Chicken Biscuit, Spicy Chicken iscuit, Sausage Biscuit, Chick-fil-A Chick-n-Minis™ (three-count), Chicken, Egg & Cheese Bagel, Bacon, Egg & Cheese Biscuit, Chicken Breakfast Burrito, Sausage Breakfast Burrito and the new Multigrain Oatmeal. Entrée choices may vary by restaurant.